To create greater value for customers, United Overseas Bank Limited (UOB) and Grab forged a strategic alliance and began offering a collection of UOB Cards solutions and privileges directly on Grab’s mobile app. 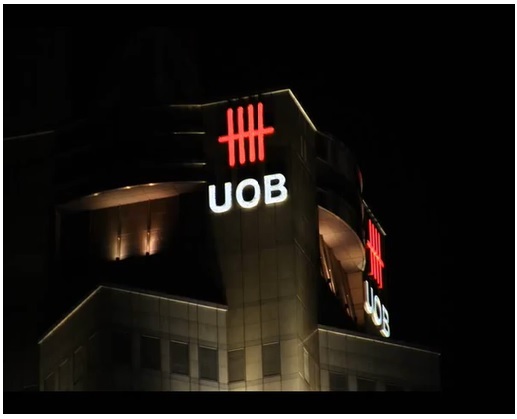 This was the first in a series of digital initiatives that UOB and Grab will bring to market in 2019 as part of their tactical collaboration. For starters, consumers can now apply for UOB One Card directly from the Grab app or by scanning QR codes found in Grab cars in Singapore. UOB card members will also enjoy an array of privileges when they use Grab services. Ms. Jacquelyn Tan, Head of Personal Financial Services Singapore, UOB, said the collaboration is in line with the Bank’s approach to build partnership ecosystems and to make banking more accessible by extending its touch points to areas that intersect with consumers’ lifestyles. “Our alliance with Grab enables us to create greater value for our customers who commute a lot. In the past year alone, UOB cardmembers took an average of close to a million Grab rides a month. This makes the Grab app an ideal platform on which customers can enjoy special privileges and make selected banking transactions, whether it is applying for a new UOB credit card or paying for their rides using their reward points,” Ms Tan said. The privileges include cashback of up to 10% on all Grab rides when they pay with the UOB One Card, a credit card sign-up offer of Grab vouchers worth $100, $10 off Grab rides and $5 off one Grab ride upon their Auto Top-Up activation on GrabPay. In addition, all UOB Reserve Card customers will automatically qualify for the GrabRewards’ Platinum tier and will enjoy the full suite of Grab privileges such as priority booking and an accelerated GrabRewards earn rate. UOB and Grab will be integrating the Bank’s extensive rewards and dining privileges programmes into the Grab app. For example, UOB card members will be able to convert their UNI$, which is the Bank’s credit card rewards points, to GrabReward points and vice versa. With this partnership, Grab will also be able to tap into UOB’s extensive network of more than 500 merchants in Singapore to connect with new business partners. This could help drive Grab’s merchant network for the other services including food delivery, e-payment and parcel delivery.